FrSky is one of the leading manufacturers for RC transmitters and we are glad to review the portable FrSky Taranis X-Lite model. The review will focus on specifications, product quality, ease of use and if it’s worth buying. We want to thank you Banggood for providing a test unit and making this review possible. The box is quite compact and it is not much you can find inside. You will get the X-Lite transmitter, user manual in English and screws to enable/disable the centred function of the throttle gimbal. We like the shell case the most. There are also two caps for the sticks to protect these while transporting. 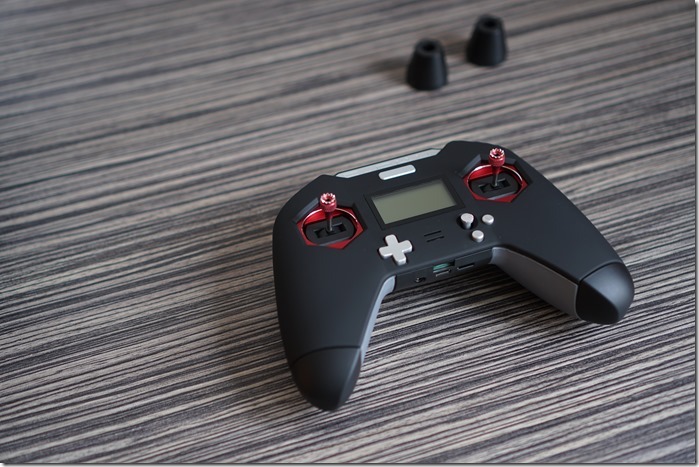 We got the black non-EU version of the transmitter, but there is a red option as well as EU version available. Note: it is possible to flash an non-EU version to EU and vice versa. 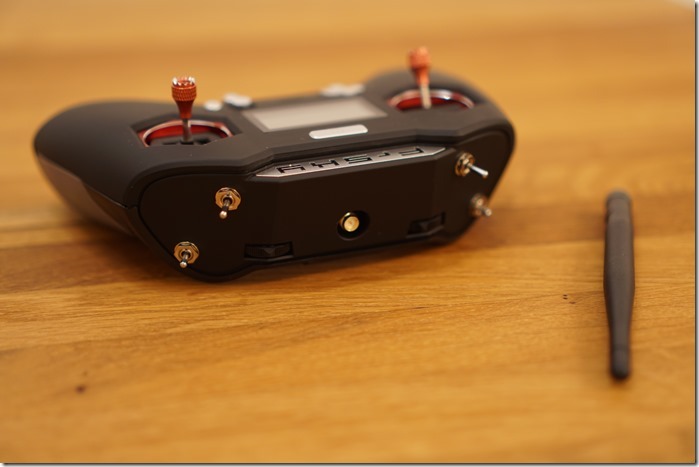 The Taranis X-Lite supports the same number of channels as the bigger radios – Taranis X9D Plus und QX7. The display resolution is the same as the one on the Taranis QX7 and perfectly fine for the size of the screen. We noticed that the X-Lite can be operated up to -20℃, where the X9D and QX7 are rated only to -10℃. There are 2x 3-positions switches and 2x 2-positions switches. For FPV multicopter pilots it is absolutely enough. You could set up different modes, PID tuning, failsafe and other functions. Using the Micro USB port, you could flash a different or newer firmware to your transmitter. It is similar to the firmware flashing process of the Taranis X9D. The build quality of the Taranis X-Lite is really good. The plastic type is much different than the one used on the Taranis QX7 and it feels a bit more premium. We really liked the rubber grip on the QX7, but the newer X-Lite overall feels much better in our hands. 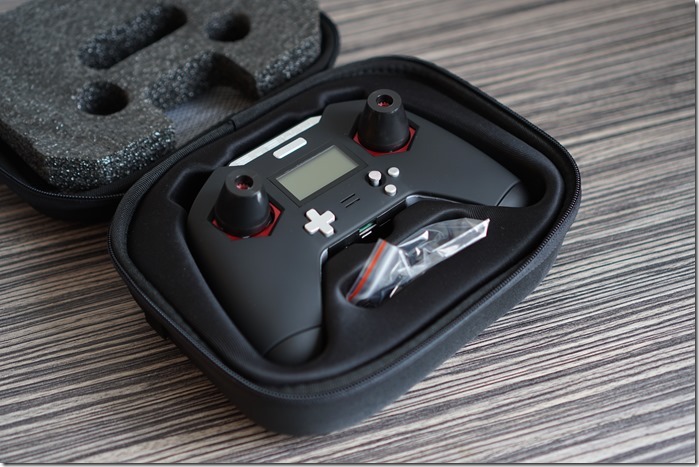 It is compact, comfortable to hold and ergonomics are very similar to the transmitter of the high-end DJI Mavic controller. 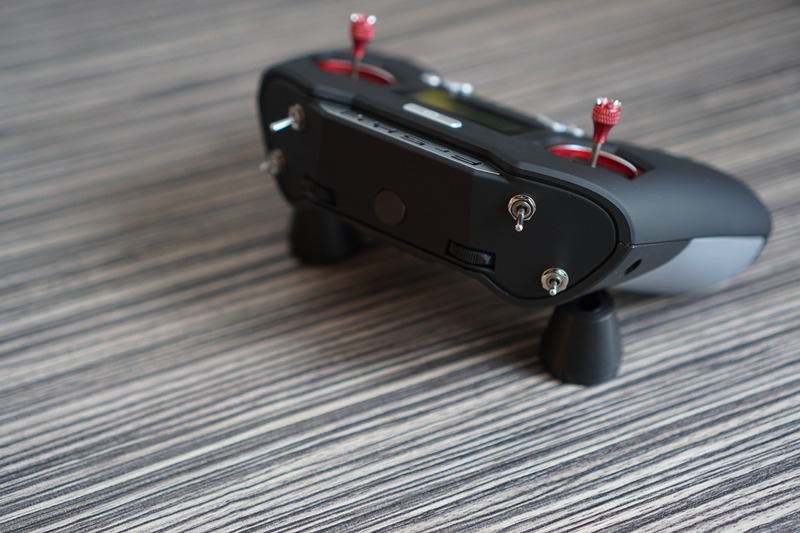 The transmitter would be a perfect choice for pilots using only their thumbs for flying (compared to pilots holding the sticks with both their thumbs and index fingers). We don´t like that two of the switches are shorter than the other two and therefore not so easy to use. The FrSky Taranis X-Lite has a very easy to use multi-function joystick. By moving it in 4 directions (Up/Down/Right/Left) and holding it for one second, you can enter a different Menu (System/Model/Telemetry/Information). The quality of the gimbals is good. However, it is really hard to compare to the bigger radios due to the short stick movement. We have tested it so far with mini indoor drones, like Babyhawk, and it is absolutely fine. 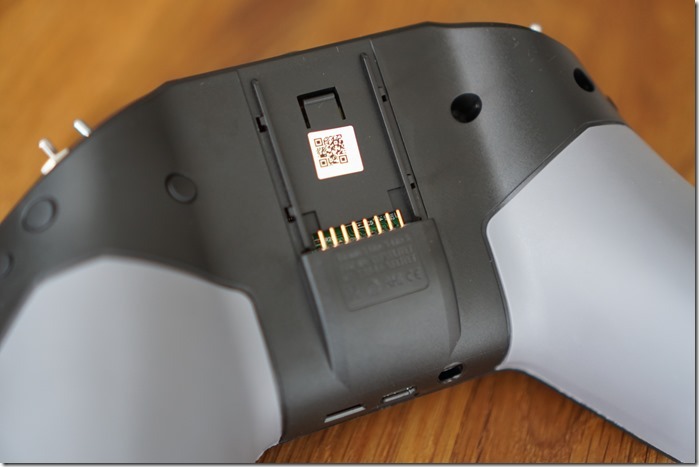 You won’t see any external antenna on the X-Lite transmitter – it has an integrated internal one. It makes it so compact and easy to transport. If you want to extend the transmitting range, you will need to attach an external antenna (any 2.4GHz antenna with RP-SMA connector like the one on the picture above). There is a T-Style original external antenna from FrSky, which you find here. We really love the ability of this compact transmitter to support external transmitting modules. You could attach the FrSky long-range R9M transmitting module to the X-Lite and make it compatible to all R9 series receivers. Additionally, there is a multi-protocol transmitting module by IRangeX, which supports protocols like Futaba S-FHSS, Walkera DEVO, Spektrum DSM2, DSMX, Flysky, WLToys, Hubsan and more. 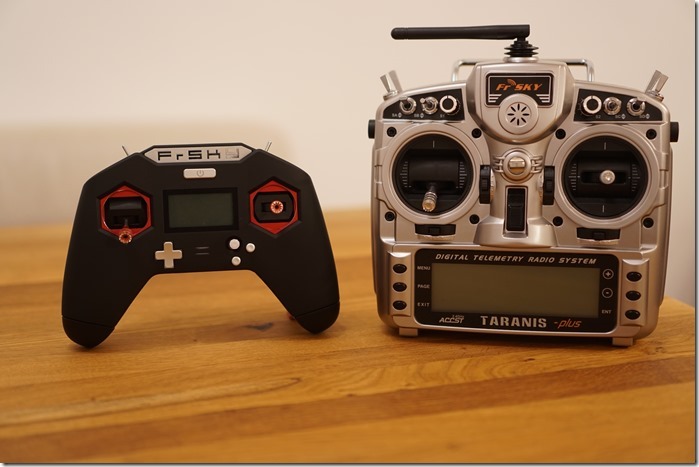 The FrSky Taranis X-Lite requires 2x 18500 Li-ion batteries to power. However, these are not included in the box, which is a bit sad – you need to buy these extra. You can find such batteries in your local battery shop or get thee from Banggood as well. It is not possible to charge the batteries through the USB port, so make sure to order a charger as well. 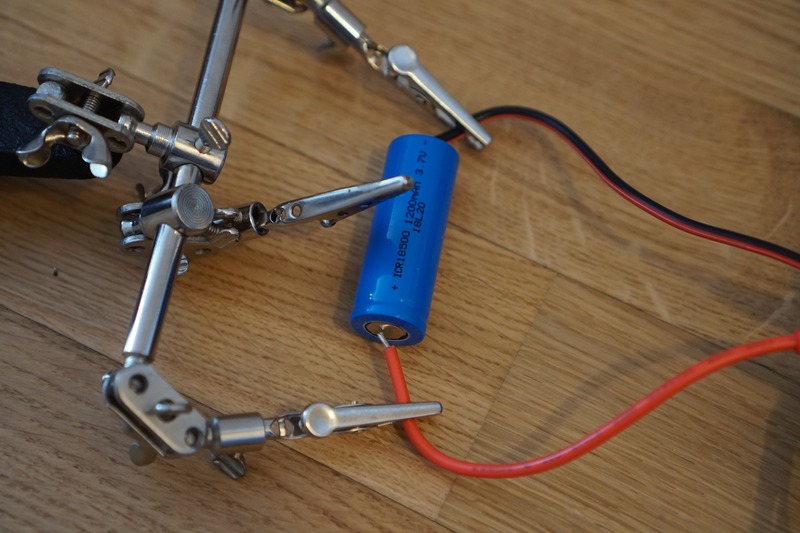 The alternative is to you use your drone battery charger in Li-Ion mode, as we did in a very old school way. Note: 18500 Li-ion batteries have a 18mm diameter and length of 50mm. Once you receive your new transmitter, both (left and right) sticks will be centred. However, the centred left stick would be a problem for most multicopter pilots (using Mode 2 – throttle on the left). 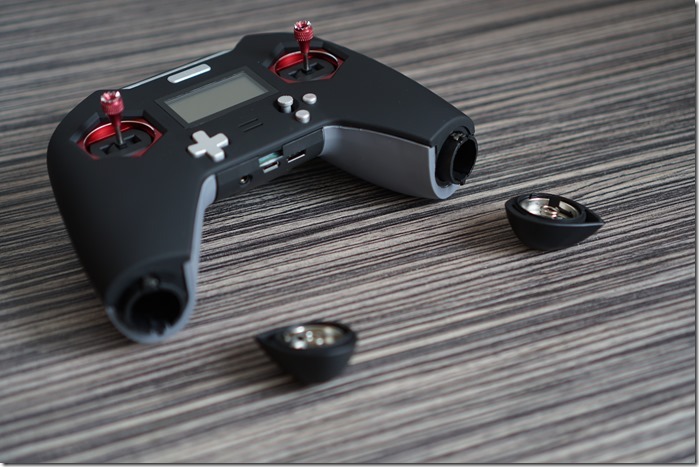 We struggled before with the Taranis QX7 centred left stick and needed to open the case in order to fix it. On the X-Lite transmitter, FrSky has solved this issue in a great way. Follow the manual and release the gimbal spring by screwing the long screw in the hole. You could also adjust the tension of the stick by screwing the short screw. Make sure in the “Radio Setup” menu, you have selected “Mode 2”. We like the small and compact size of the transmitter, the case, the ability to add external transmitting modules and ease of use. The 18500 battery type on the other side is a drawback, but if you order a charger and some batteries you will be fine. 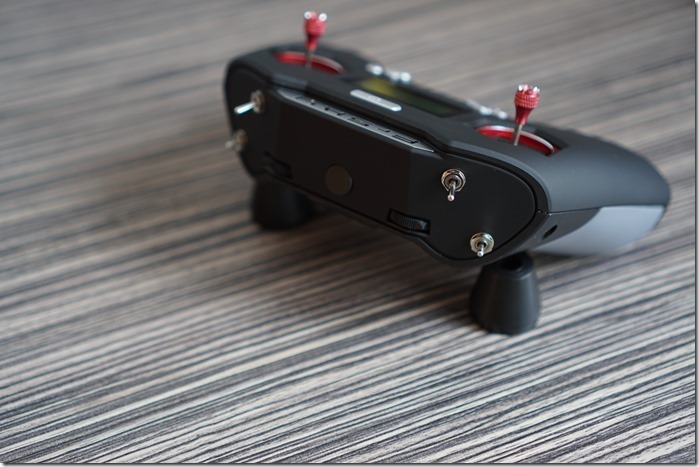 Due to its size, it’s great for every day use and for travelling with your FPV copters. Overall we think it is almost perfect and definitely worth the money. If you like, please feel free to get it from our sponsor. Update: While we were writing the article, FrSky released upgraded versions of the X-Lite: the new X-Lite S and X-Lite Pro. Both new transmitters feature the newly developed ACCESS transmitting protocol. It helps for lower latency and longer range. FrSky fixed the problem with the battery charging, so you are not able to charge the batteries through the USB port. The new transmitters will be available soon here.